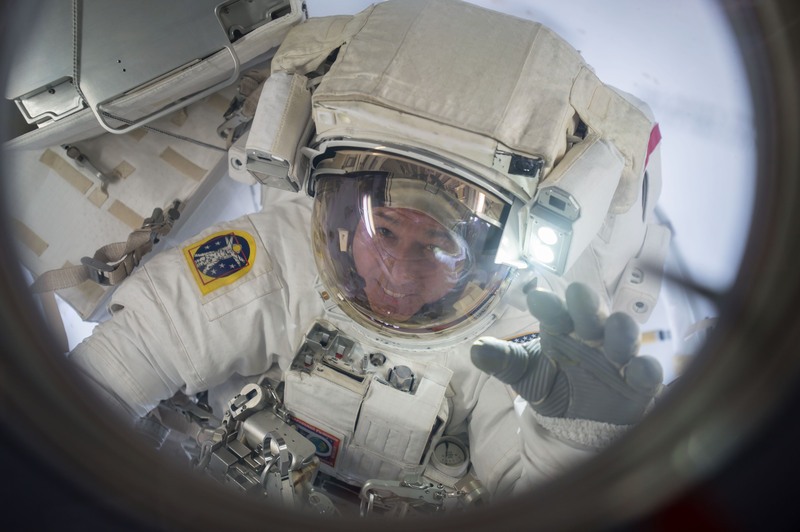 Both Kimbrough and Whitson are no strangers to spacewalk operations, Kimbrough has five career EVAs under his belt and Whitson has performed seven spacewalks. The two worked together on one EVA back in January to install new batteries on the Station’s truss segment. 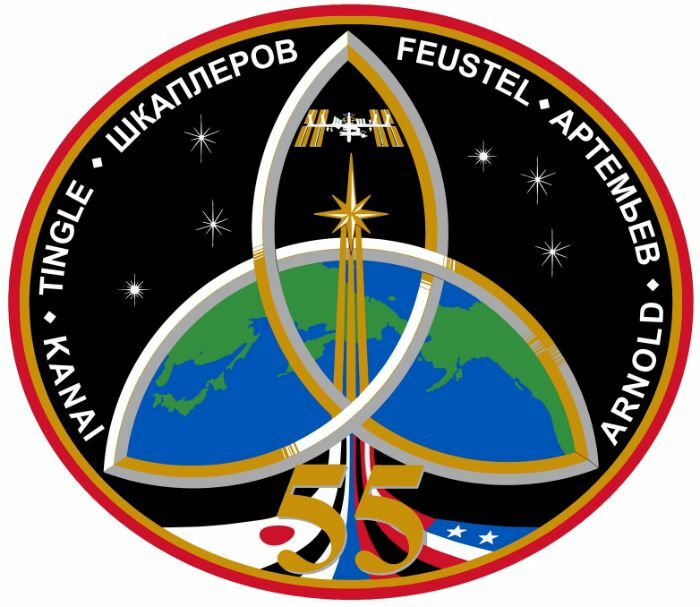 The major prerequisite for EVA-41 was the relocation of Pressurized Mating Adapter 3 from the Port location on the Tranquility (Node 3) module to the Zenith side of Node 2 Harmony where it can serve as an active docking port for SpaceX’s crewed Dragon spacecraft and Boeing’s Starliner, both still targeting the first crewed test flights for 2018. PMA-3 is one of three Pressurized Mating Adapters and was delivered to ISS back in 2000. It supported just two Shuttle missions before being relocated numerous times and mostly serving as closet space. 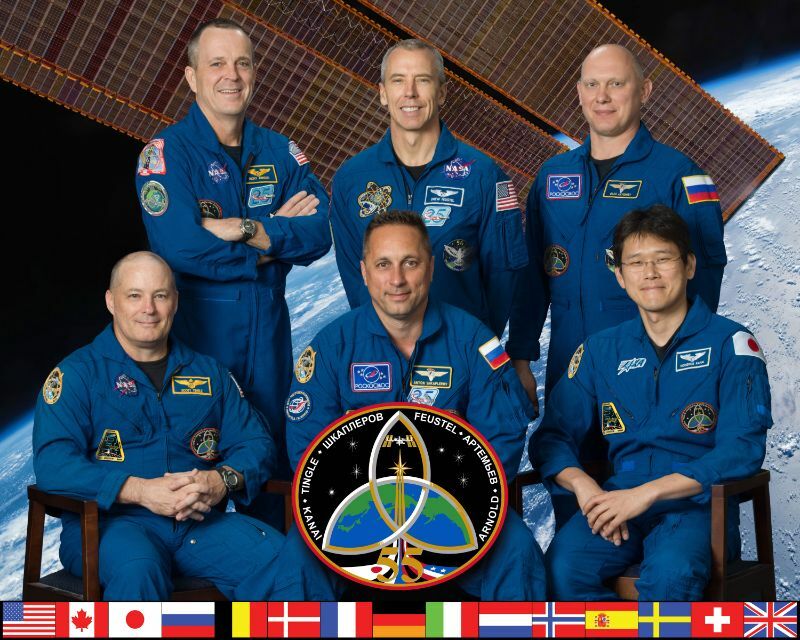 Since 2010, PMA-3 resided on the Port side of the Node 3 module and was ingressed by the crew a few times per year to access the stowage items inside the module and inspect its condition. With the desire to establish a pair of docking ports for Commercial Crew, PMA-3 was back in play and preparations for its transition back into active duty as a docking module started earlier this month with internal reconfigurations. The Station’s robotic arm took the module on a ride on Sunday, removing it from Node 3 and bringing it to the space-facing docking port on the Node 2 module where it can serve as a docking port. 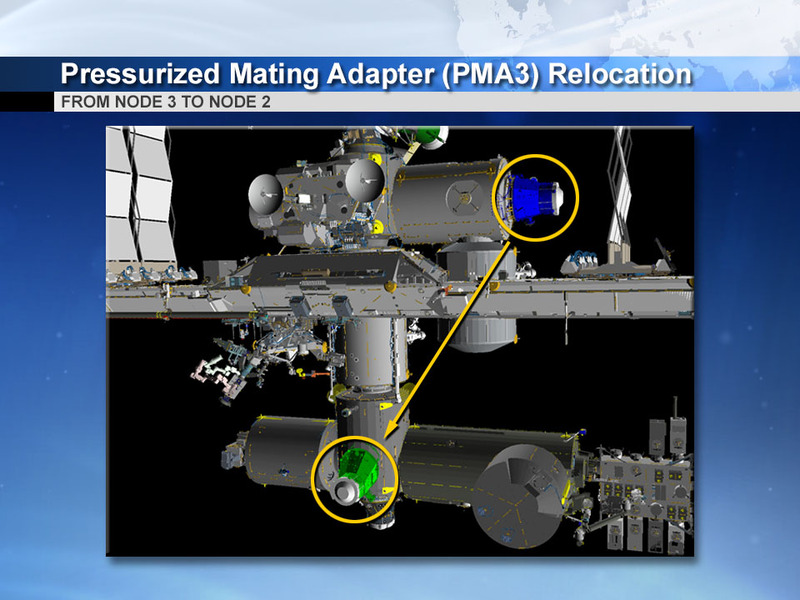 Sunday’s PMA-3 relocation went without issue, clearing the way for Thursday’s EVA that will be primarily dedicated to outfitting the module in its new location and reconfiguring its previous spot on Node 3. Kimbrough and Whitson are expected to climb out of the hatch at 12 UTC following the typical multi-hour preparation process with suit checks and in-suit exercise ahead of the methodical depressurization of the Quest airlock. After egress and following the prescribed checks of tethers and suits, the two crew members will part ways for their first tasks of the day. 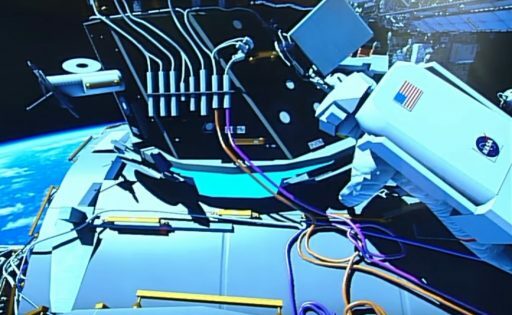 Shane Kimbrough will make a close repeat of what he did on EVA-40, that is climb up to the S0 Truss to replace the second of two external computer boxes with an upgraded unit. The two External Control Zone Multiplexers/Demultiplexers (MDMs) are being replaced with more-capable ‘EPIC MDMs’ utilizing Enhanced Processor & Integrated Communications which give the MDMs faster computing power, increased memory and an Ethernet interface, taking the Station’s computer technology into the 21st Century. 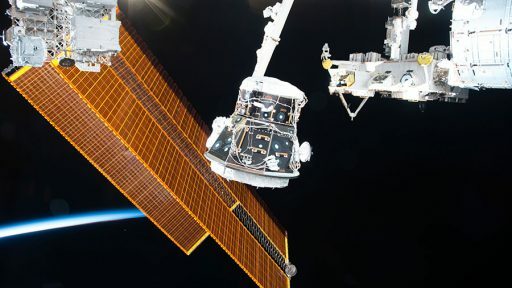 The external EPIC upgrade is needed to enable ISS to fully utilize the C2V2 Common Communications for Visiting Vehicle System that will be used by Commercial Crew vehicles on approach to the ISS to relay crew voice, vehicle telemetry and navigation data. The new MDMs will also allow more external systems to be supported given the greater processing capability of the EPIC processing units. For the replacement, Kimbrough will use his Pistol Grip Tool to release a pair of secondary bolts and a central jacking screw after which he will be able to slide the MDM out of its soft-docked position. He will then inspect the blind-mate connectors on the back of the MDM and its receptacle as well as the ChoTherm thermal material to ensure the coldplate is in good condition to receive the new MDM. For the installation of the new unit, Kimbrough will use guide rails to place it in a soft-docked configuration before driving the three structural bolts. 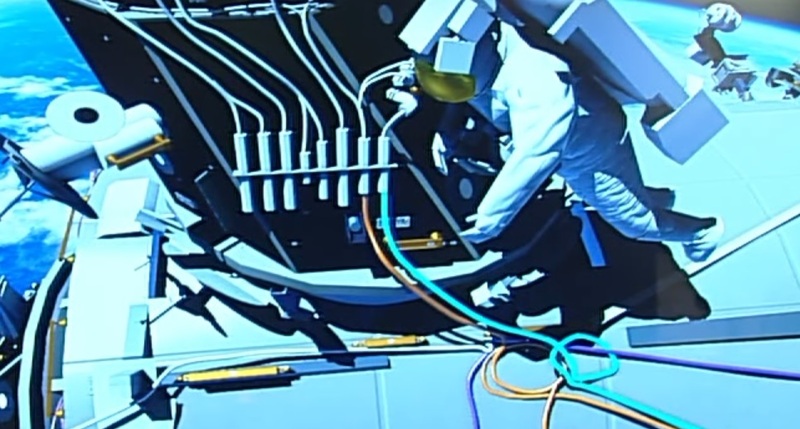 Finally, he will connect an Ethernet cable to the MDM pre-staged during a previous EVA to connect the computer to the visiting vehicle communications architecture. For Peggy Whitson, the spacewalk begins with the translation forward on the lab to reach Node 2 and the newly installed PMA-3. There, she will retrieve a pair of connectors pre-positioned back in 2015 and hook PMA-3 up to heater power supply and telemetry for the heaters via a pair of NZGL connectors on the A2 patch panel on the PMA. Heater power is required for PMA-3 to be repressurized to undergo internal outfitting in its new location over the coming weeks. 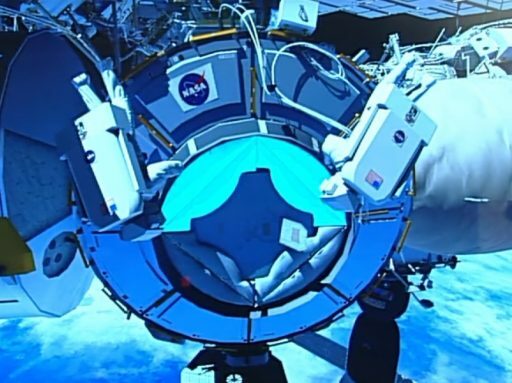 Whitson will also remove the protective cover from the top side of the PMA that was put in place to protect the APAS docking mechanism while the module was not in use. 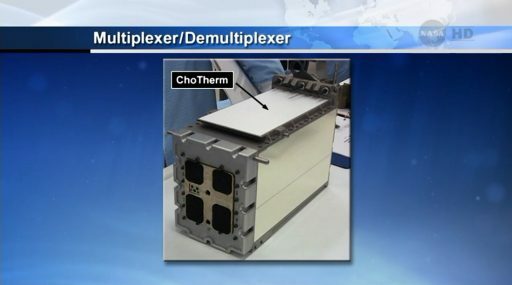 The removal of the MMOD cover will ready PMA-3 for the installation of International Docking Adapter-3 inbound later this year or early in 2018. 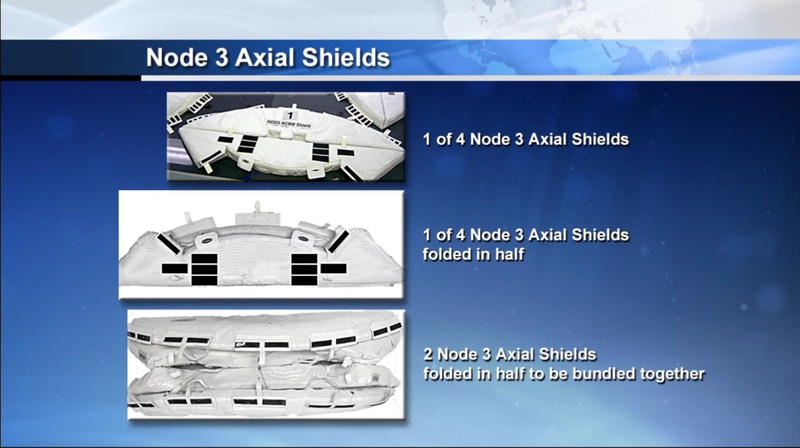 The two spacewalks will then meet up at the airlock and retrieve a bundle of shields for the Node 3 module that are to be put in place on the module’s port Common Berthing Mechanism formerly occupied by PMA-3. 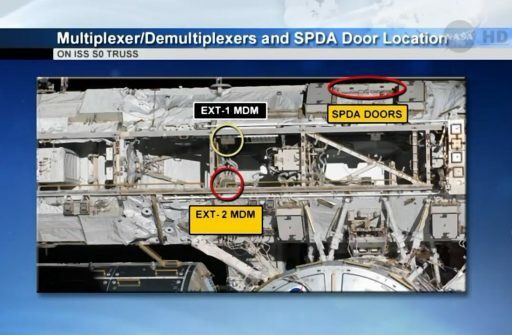 The Station’s axial ports lack CBM petals which leaves components of their berthing mechanism exposed to the space environment when no module is present. 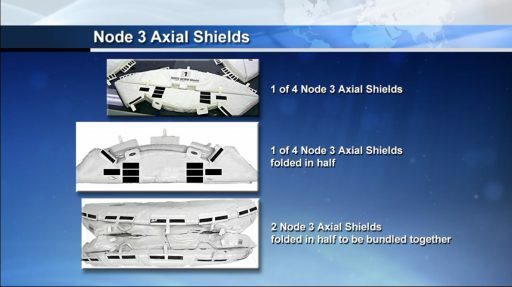 To protect the intricate mechanism as well as the Node 3 port hatch, a series of four axial shields will be installed by the crew to protect the CBM from debris and meteoroid strikes. At present, the next use of the Node 3 Port location won’t come until mid-2019 at the earliest with the arrival of the NanoRacks Commercial Airlock that is being developed to give the U.S. Segment a second airlock for the transfer of external payloads or satellites to the outside of ISS, taking pressure off the Kibo airlock and increasing the Station’s ability to place satellites into orbit. The PMA-3 shield installation marks the final primary tasks of EVA-41, but given the relatively low level of difficulty for all EVA tasks, teams are hopeful the spacewalk will leave some room for get-ahead tasks. A total of six tasks are currently on the Station’s to-do list that includes low-priority tasks that would give teams a leg-up on future external work. One item that is of particular interest is the replacement of a camera lens cover on the robotic arm as that camera has shown a much degraded view that teams suspect is caused by some contamination on the camera lens cover. To give robotic controllers are clear view of their work, the spacewalkers will be tasked with removing and replacing the CLPA cover, a relatively quick task. Two tasks on External Stowage Platform-2 are to ready a Flex Hose Rotary Coupler and Ammonia Pump Module Combined Cargo Element for potential future installation by configuring covers so that the Station’s robots could remove them from the stowage platform. Two other quick tasks are the removal of a handrail and the installation of a T-Handle on a Radiator Grapple Bar. The final task list item and one of the longer get-ahead tasks is the preparation of a dozen batteries on the Station’s S6 truss segment that are next to be replaced with higher-capacity Li-Ion batteries. Like January’s battery replacement, the work will be shared by the Station’s robots and spacewalking crew members. 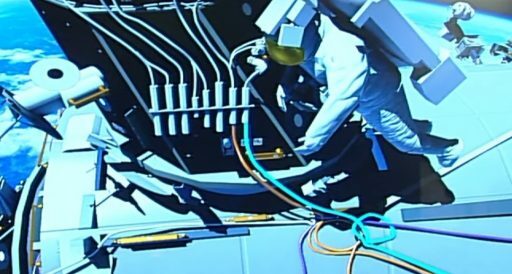 Breaking torque on all 24 battery bolts and re-torquing them at a lower level will ensure Dextre won’t run into any problems when removing the old batteries and putting new ones into place. This task is not a pressing issue as the next batch of batteries will not arrive until February 2018, though can be completed at any time if sufficient EVA time is available. Following completion of their tasks, the spacewalkers will return to the Quest airlock and close out the EVA in orderly fashion to put a checkmark behind all PMA-3 relocation activities, ready for the arrival of the International Docking Adapter. 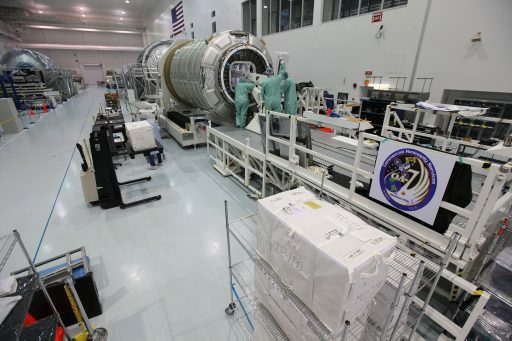 U.S. EVA-42, originally set for April 6, is likely to slip to a later date given the launch delay for the next Cygnus resupply mission. The SS John Glenn is currently targeting a mid-April liftoff as its Atlas V booster undergoes repairs for a hydraulic issue discovered on March 22. Since the OA-7 mission will lift a number of items needed on EVA-42, that spacewalk will not be possible until Cygnus arrives at ISS and the items can be readied for EVA. 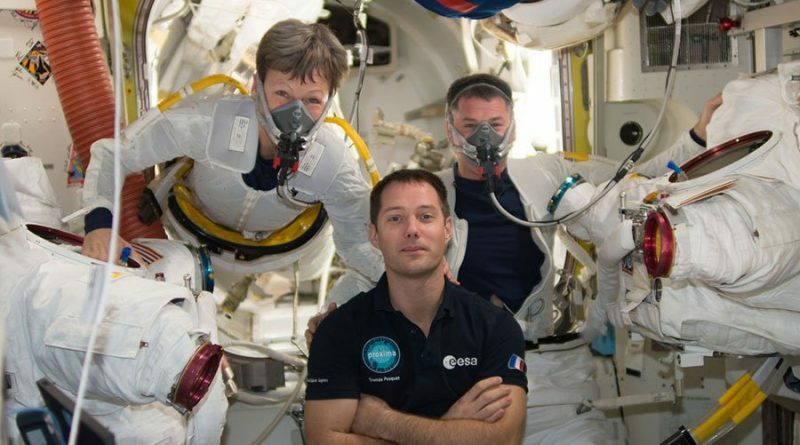 Additionally, the EVA will have to wait for the upcoming crew rotation to be completed as non-emergency spacewalks require three crew members on the U.S. Segment. Information prior to Atlas V’s delay indicated the EVA would move to NET late April if Cygnus can not arrive at ISS prior to April 5.